June 24, 1859 near the village of Solferino saw a battle erupted, in which soldiers of French, Italian, Austrian and Sardinian armies collided. 6 thousand of its participants fell on the battlefield, 42 thousand – wounded. Sanitary services of the belligerents did not cope, the wounded were doomed to terrible agony. My Canadian Pharacy – https://mycanadianpharmacyteam.com/ points out that in 1862, Henry Dunant’s book, Recollection of the Battle of Solferino, was published, where he describes not the exploits of soldiers in the war, but their suffering. He sent the book to European monarchs, politicians, military leaders, and his friends. The success was instant and exceeded all expectations. In his book, Henry Dunant expressed the idea of creating voluntary societies in European countries to assist the wounded and the need to adopt an international agreement that would guarantee these volunteers recognition and respect. In 1863, five Geneva residents formed the International Committee for Assistance to the Wounded. The committee consisted of: General Guillaume Henri Dufour, a strategist respected throughout Europe; Henry Dunant – the youngest of those present; Gustave Moynier, a “professional” philanthropist, chairman of the Geneva Society for the Promotion of the Public Good and many other charitable committees; Doctor Louis Appia, keen on military surgery and doctor Theodore Maunoir, a wonderful surgeon. In February 17, 1863 its first meeting was held, at which General Dufour was elected its president, and Dunant – secretary. 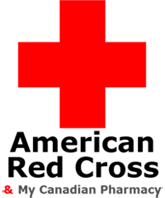 This date is the birthday of the International Committee for Assistance to the Wounded (since 1880 – the International Committee of the Red Cross – ICRC). In October 1863 in Geneva, the International Conference was held, which was attended by representatives of 14 countries and 4 charitable organizations. It adopted a number of decisions and recommendations, among which – to create in each country voluntary committees to help the wounded, to grant neutrality to medical and sanitary personnel acting on an official and voluntary basis. Nowadays, International Red Cross conferences are held every 4-5 years, during which not only the ICRC, the Federation and national societies, but also the states that have signed the Geneva Conventions participate. The conference is the highest deliberative organ of the Campaign. It provides an opportunity for all participants to express their views on the problems and tasks facing the Movement, to jointly determine the main directions for international humanitarian law development. Each delegate of the Conference has one vote, that is, each national society has the same rights as the ICRC. The participation of government representatives not only helps the Red Cross to be aware of the events of international life and the situation in different countries, but also gives some weight to resolutions adopted by the conferences and the mandates they have distributed. The Standing Committee is a conciliatory body in the work of which 9 people are accepted: 2 from the ICRC, 2 from the Federation, 5 from the national societies. At the meeting of commission, the actions of the Campaign’s structures are coordinated, the directions of their activities are determined. The Council of Delegates consists of representatives of all three main constituent parts of the Movement and meets once every two years, examining issues related to the Red Cross doctrine, regulatory work. The Standing Committee ensures the continuity of the general leadership of the Campaign in the intervals between International Conferences, negotiates with the states. The activities of the Council of Delegates are limited to the Campaign itself. © Copyright 2019, American Red Cross Bay Area. All rights reserved.